Science now shows that herbicide-resistant weeds are aggressively taking hold in much of the U.S. and threaten U.S. crop production and profit. More than half of U.S. farms are battling glyphosate resistant weeds. A survey by Stratus Ag Research shows glyphosate resistant weeds were found in 33 million acres in the U.S. in 2010. The acreage jumped to 61 million in 2012. Today, more than half of U.S. farms are battling the problem. The toxic chemical glyphosate has been viewed as a cheap, effective way to grow weed-free soybeans. “But those days are over, as weed resistance to glyphosate is becoming more widespread” warns Iowa State University weed scientist Mike Owen. As you see from the above quotes, the toxic chemistry industry is now acknowledging the horrible consequences of GMO’s and glyphosate. 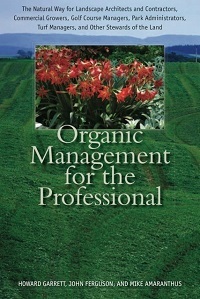 Maybe if we could get more people, especially the producers, to read our “Organic Management for the Professional Book”, then things would move along the right direction a little faster. If you have any questions on this newsletter or any other topic, tune in Sunday 8am -11am central time to the The Natural Way - Dirt Doctor Radio Show. Listen on the internet or find a station in your area. The phone number for the show is 1-866-444-3478. Click Here to View Past Newsletters.